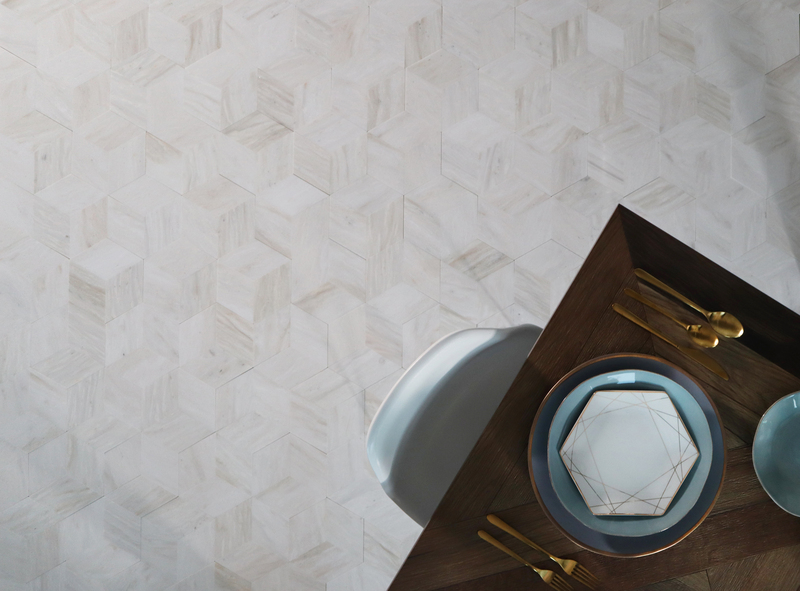 One of AKDO’s bestselling collections, Origami, has expanded to include another fan-favorite material, White Haze. 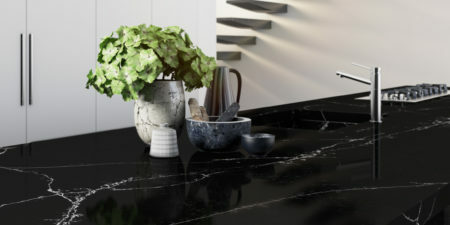 AKDO’s Origami Collection is comprised of marble, expertly cut so that the veining on each piece aligns with the next to create a dynamic folding illusion. 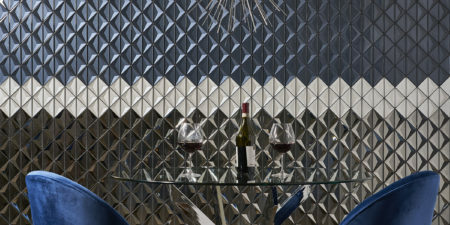 Taking inspiration from the ancient Japanese art form of paper folding and the 3-D shapes it produces, AKDO’s Origami Collection fuses geometry and nature. 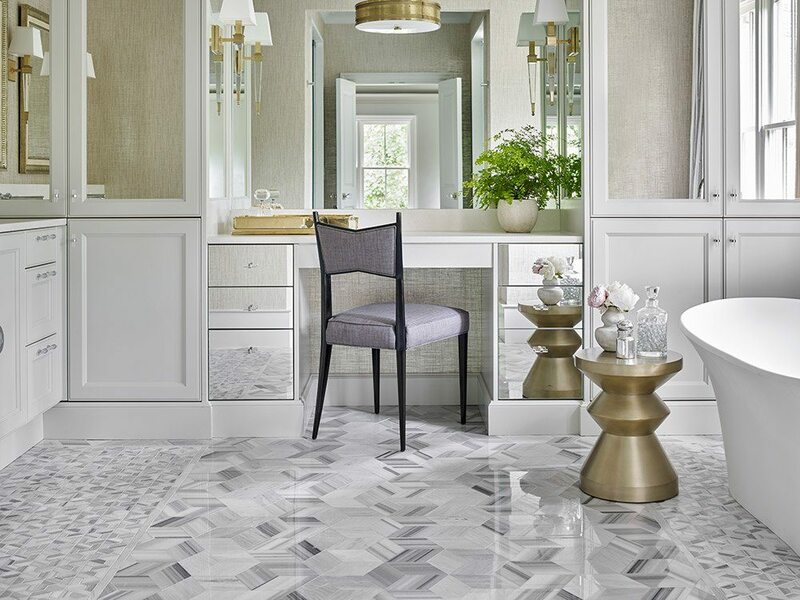 Mesmerizing chevron, hexagon and block mosaics in the Origami line are made from a variety of luxury marbles with both soothing and statement-making color palettes. These cool gray, soft brown and creamy-hued marbles are expertly cut, allowing their linear movement to shine for a mesmerizing design. Now, the addition of White Haze, a pale creamy marble, offers the otherwise contemporary geometry of the existing collection a classic neutral touch thanks to subtler veining, resulting in a unique product perfectly suited to transitional interiors and a variety of applications. The Origami patterns now available in White Haze include Burokku, Hoshi, Massugu, and Nami. Where would you use these new additions?